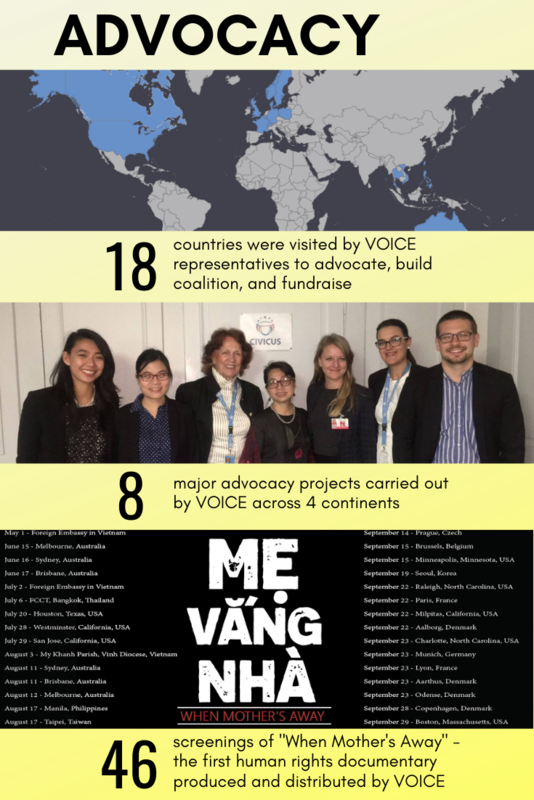 See the pictures below that highlight what we achieved in the past two years, from four main activities: Training, Civil Society, Advocacy and Refugee Resettlement. 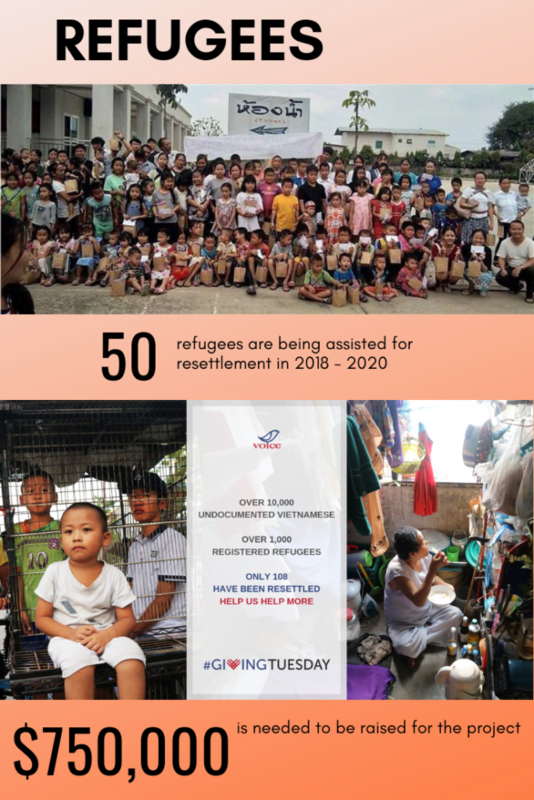 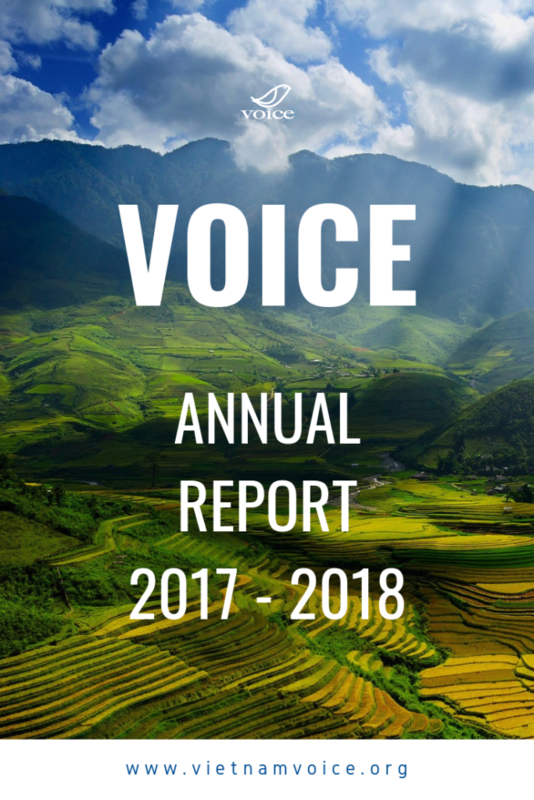 We achieved this not only by the efforts of VOICE members but also through the support of volunteers, VOICE affiliates, partners and especially our enthusiastic supporters in Vietnam and around the world. 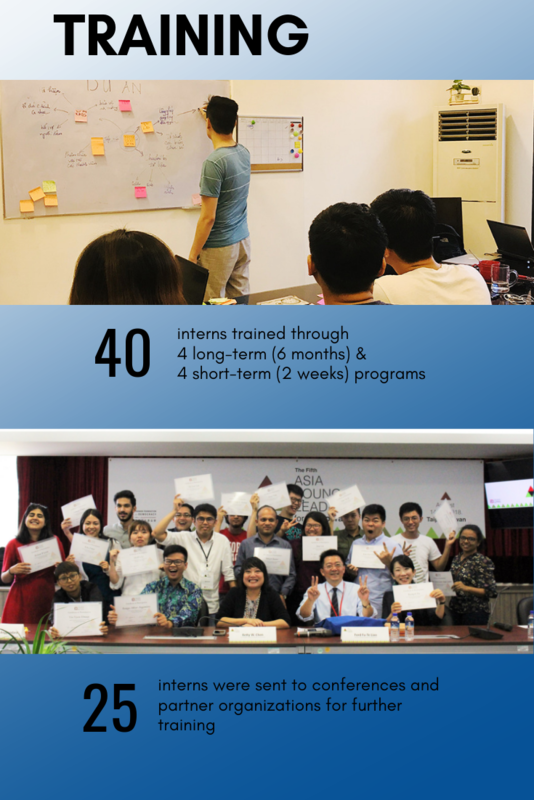 Thank you to all of you who have made this success possible! 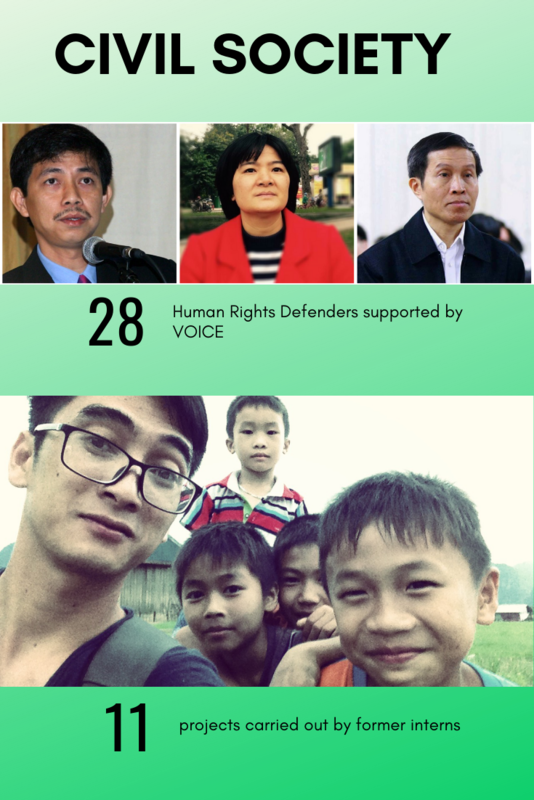 PS: Please tell us which activities you want to get involved with at VOICE?